As beginners start their workout schedule, they look forward to building powerful biceps muscles. 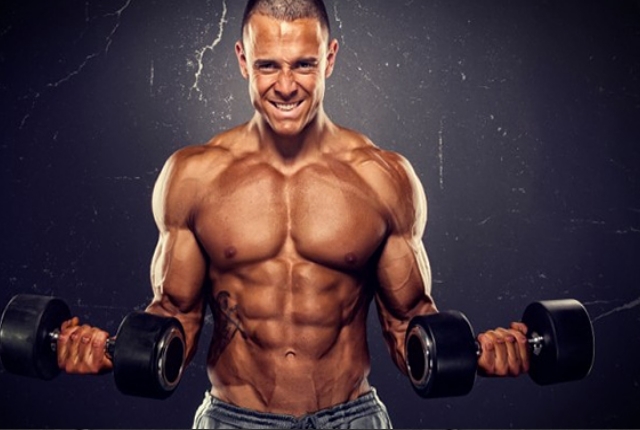 Muscular arms with great muscle power are the dream of many, but one of the most difficult to achieve. However, barbell exercises are known to be really effective in building powerful bicep muscles. Barbells help in challenging the muscles, help in building strength, improve flexibility and build power. Most of the barbell exercises for beginners are easy to do and are quite effective. 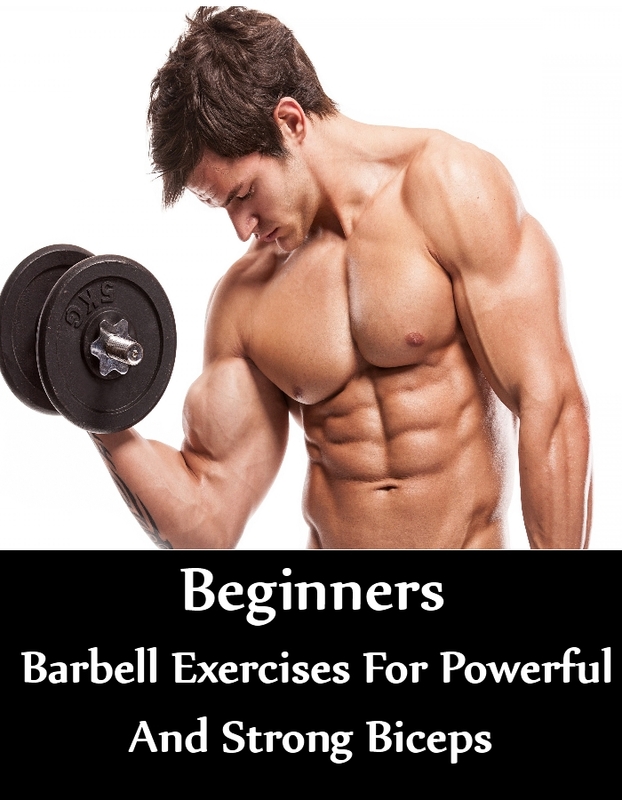 Beginners should ideally include them in their fitness schedule and enjoy powerful biceps in a short time. However, no one should put too much pressure and exercise only till a comfort level, as they are starting their routine. This is an easy inner bicep curls workout which can help in filling your inner arms in an easy way. Start by sitting comfortably on a bench. You need to hold on a dumbbell in each of your hand and by the side of the body. Your palms shall face one another. Now, you need to slowly raise the dumbbells, till they move up to the height of your shoulders. You can again get them lowered down after a few seconds. Never exert yourself if you are not comfortable, at any point. You shouldn’t jerk your body too so that you are able to lift the weight. Do this for 10 minutes in a day. This exercise is quite similar to a normal grip bicep curl but has one big difference. The palm is not placed in the center of the bar of the barbell. This exercise is a big challenge for biceps, as it is forced to work harder and deeper, with the palms facing a bit forward. This is the position, all through the workout. To do the workout, you need to first hold on to dumbbells and allow them to hang comfortably by the length of your arm. They should be by your sides. Your thumb or your pinkies need to be positioned on one of the dumbbells. You shouldn’t move the upper arms and try to slowly bend the elbows. 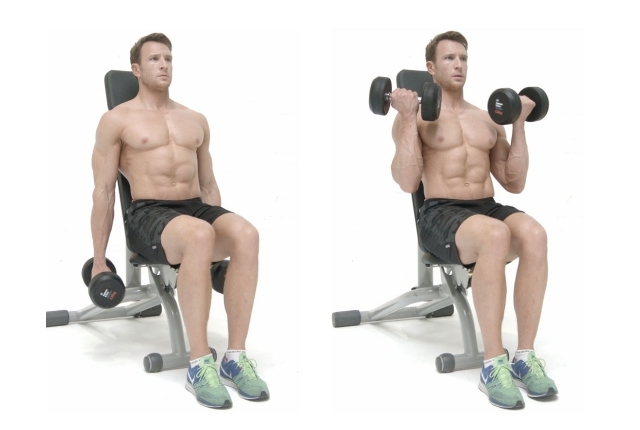 You need to curl the dumbbells and move them close to the shoulders. Stop for some time and then you need to lower your weight back and get back to the start position. Once you are back to the start position, you need to straighten the arms right away. This is a quick exercise which can be done even when you are in a great hurry. You need to stand up and then hold onto a dumbbell. Your hand shall be done and by the side of the body. Your palms shall face one another. 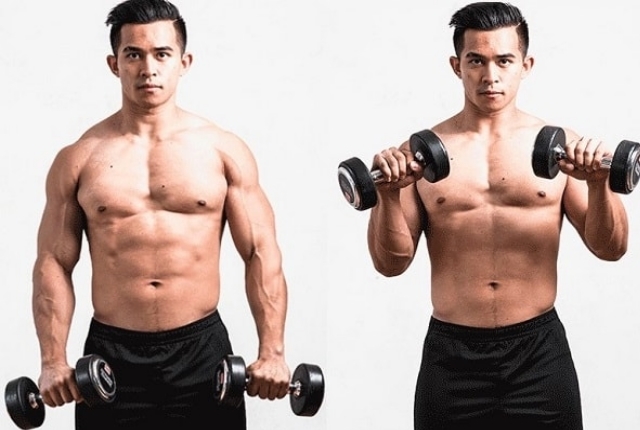 You need to again raise one dumbbell, till it reaches the height of your shoulder’s and you need to slowly start lowering it. Move it down and wait for a short time. You need to raise your other arm again. Remember at any point you shouldn’t be jerking your body so that you can lift the weight. This can cause you injury. Hence, you need to do the workout slowly. This bicep workout makes use of isometric training. 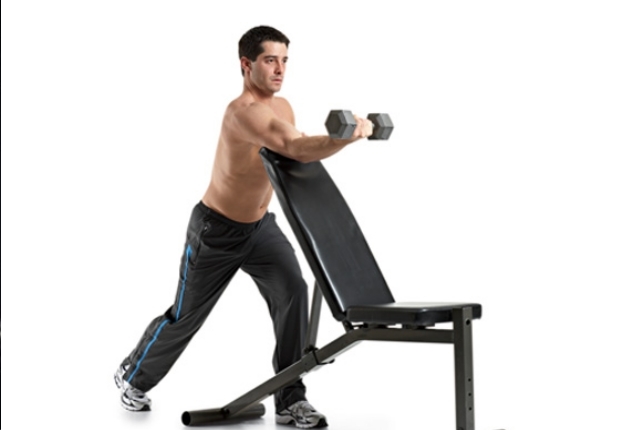 In this technique, you start the workout by holding the weight in a certain position for some time. This helps in stimulating the muscles in such a way, that it works to stimulate blood circulation and builds flexibility. This is a simple exercise which can be easily done by beginners. You need to hold on to a dumbbell using your right hand. Position yourself just behind a bench and raise your hand to a 45-degree angle. Now, slowly lower your dumbbell till it is just beyond half way. Stay in this position for at least 20 seconds. You can repeat this workout using your left arm. This exercise is just the opposite of decline variation. You need to start the workout by lying down on your back. Let your arms drop down just behind the body. This will help in challenging your bicep muscles which will help in building their strength and agility. Start by holding a dumbbell. Lie down on your back as you rest against a bench. The bench needs to be set at a 45-degree incline. You will not move your upper arms and start bending the elbows as much as you can. You will slowly curl the dumbbells and bring them close to the shoulders. Pause for some time and then lower your weight and get back to the start position. Once you get back to the start position, you need to keep your arms straightened.